Production: 60 built by mid-1942. 60 -2 built from mid-1942. 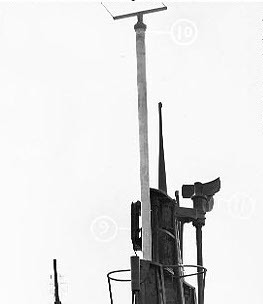 SD was a nondirectional submarine early warning radar that gave range but no bearing information.